October sure is an exciting month to fish Norfork Lake. The bite for most species is good to very good. The lake has remained fairly stable over the last week which, helped the bite improve. Of course, don't forget about November and December as great fish periods for all species. 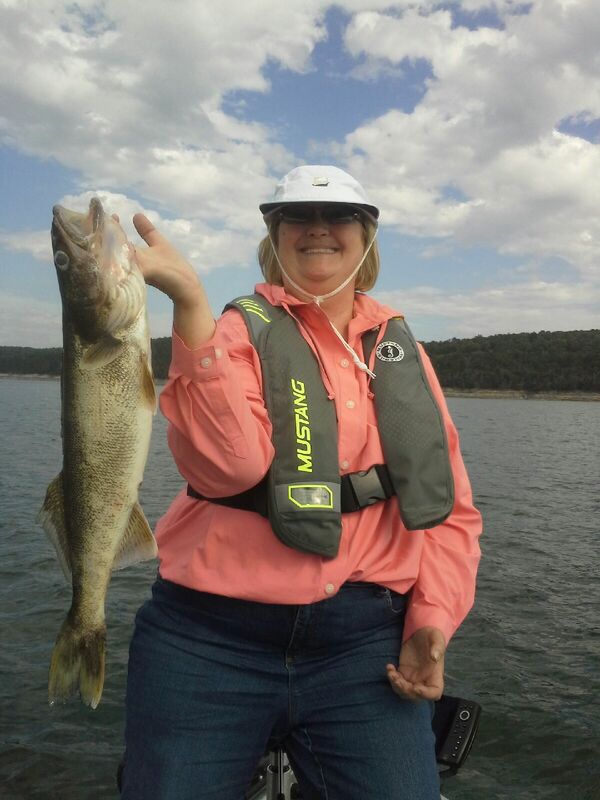 Plan your Norfork Lake fishing vacation by calling Hummingbird Hideaway Resort. The crappie have moved back into the brush. Find brush in 25 - 35 feet of water and it will be holding fish. 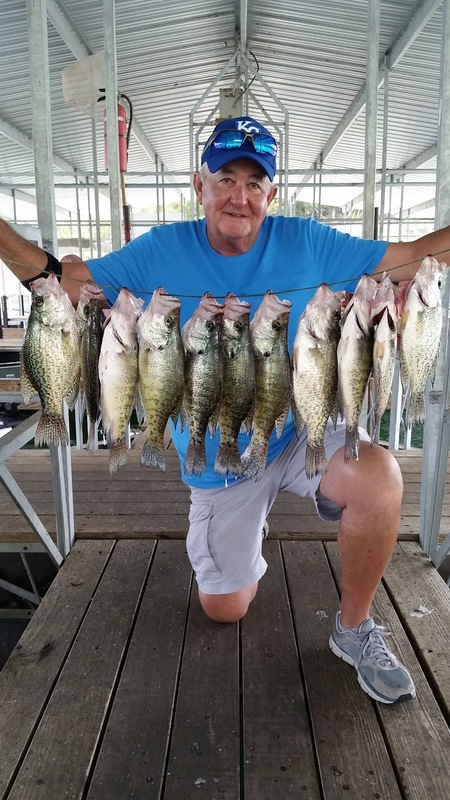 You may need to bounce from one brush pile to another, as the bite will slow after you catch several fish. The crappie are suspended to or buried inside the brush 20 - 25 feet down. Small jigs will work, as well as, small 1/8 to 1/4 ounce spoons. Live bait on a small grub or live bait on a hook with a slip float is always a great choice. The walleye bite continues to be good in the dam area. The walleye that I have found are in 80 - 90 feet of water on the bottom. A few of them are starting to move up and are being caught in 65 feet of water in the same general area. Live nightcrawlers are catching fish, as well as, 1 ounce spoons vertically jigged. You can also bait a jig head with a plastic worm or crawdad and bounce it along the bottom in the 80 foot range. The second location for walleye is in 30 - 40 feet of water along a gradually sloping shoreline. Trolling a crawler harness or bouncing a spoon along the bottom will also work. A third place to find walleye is inside of or close to brush piles. 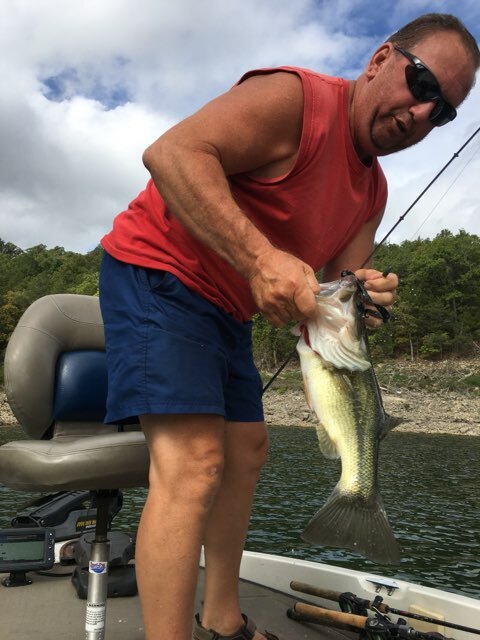 The bass bite has been very good over the last week. The larger fish have continued to move out of their deep water summer home into very shallow water to feed. 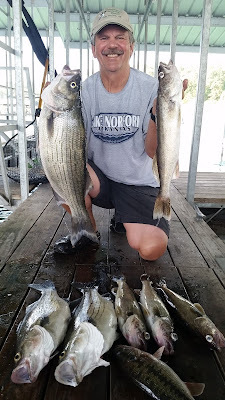 Shallow shorelines that are holding bait will be holding feeding bass. If you find some sunken timber sticking up, there will be some bass hanging out. Your favorite plastics, such as worms, crawdads, or junebugs will work great. Work your bait along the bottom back to your boat and hang on. 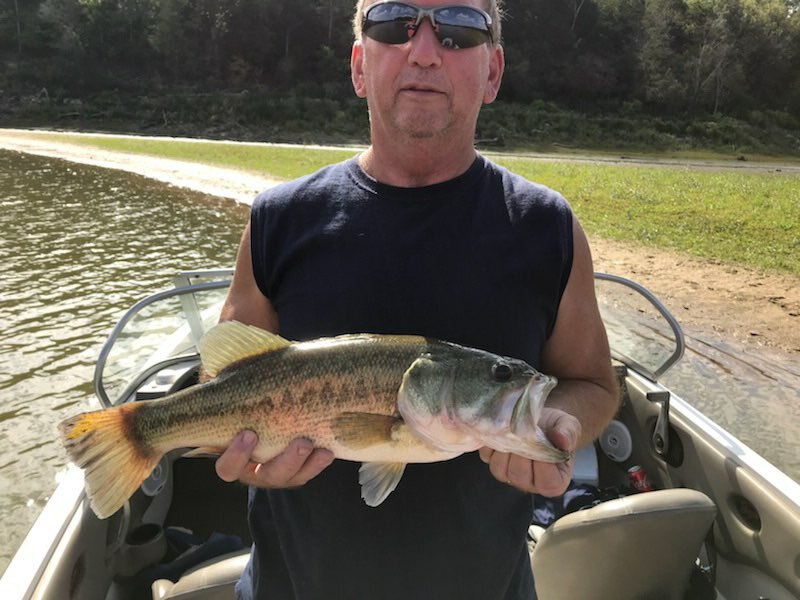 Good locations to fish for bass are back into the major creeks and larger coves where the bait has moved back to the area. 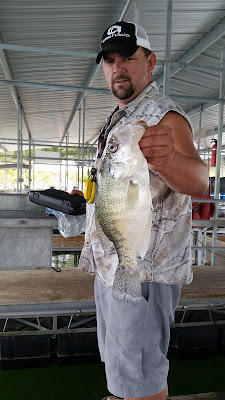 They are biting great in 2 feet of water. 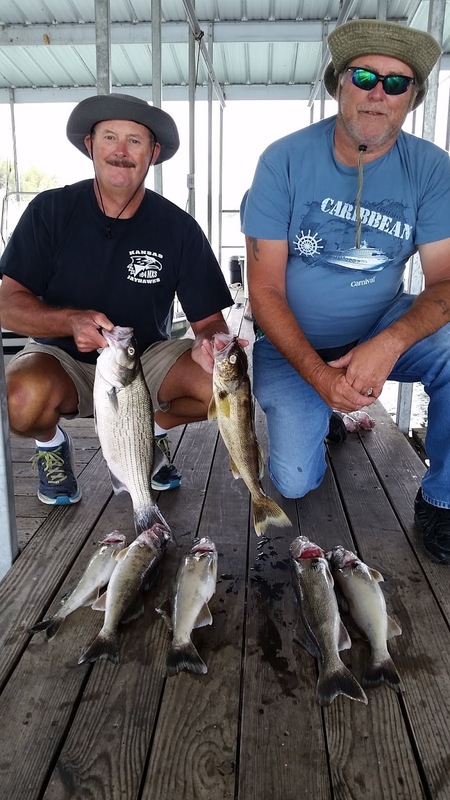 The white bass bite has been really good back in the major creeks and on the large flats. Large schools of fish are feeding and vertically jigging a spoon will catch you plenty of fish. Keep your eyes open for top water action for whites and largemouth bass early in the morning. Have your top water bait or a Kastmaster handy to have loads of fun. Norfork Lake water level has fallen slightly (5.4 inches from last report) and currently sits at 551.15 feet. The lake surface water temperature has remained fairly stable over last week and was at 78.5 degrees this morning but will increase slightly during the day. The main lake clarity is getting deeper and the visibility appears to be around 7 - 10 feet down. The coves are also starting to clear. The current thermocline appears to still be roughly 40 feet down. If you are looking for a daily update of what is happening fishing wise on Norfork Lake, follow Hummingbird Hideaway Resort's facebook page for daily activity updates.